If you're in need of an adorable video to put a smile on your face, this one will certainly brighten your day. 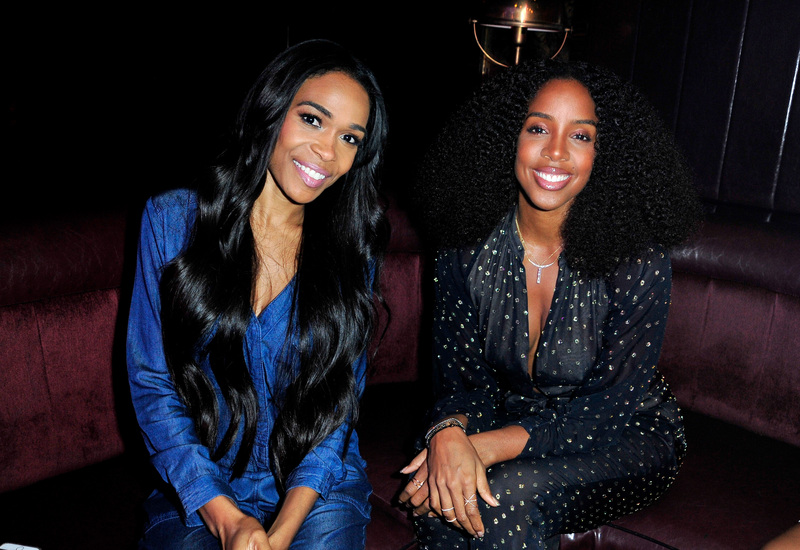 On Tuesday, Kelly Rowland posted a video of herself with Michelle Williams of the former Destiny's Child members serenading Rowland's son Titan. Not only do they show off their amazing voices, but to hear Titan's little laugh sure gives me all the feels. You can tell he's enjoying the song, especially since he has the biggest smile on his face. You know what else makes this video fabulous? The mini-Destiny's Child reunion happening. The reunion is so perfect that it doesn't even need Beyoncé. Did I just say that? Yes, I did. To be clear, I'm not bashing Queen Bey. Of course, if Beyoncé would've joined Rowland and Williams in this song for Titan it surely would've been even better. But as you can see below, they really don't need Beyoncé, because Rowland and Williams are doing just fine carrying a tune, creating a lovely lullaby, and making Titan happy. With that said, anyone else ready for Titan and Blue Ivy to join forces? I have a feeling they'll inherit their parents' talent, which means these two cuties will probably be big stars. Until then, I will just watch any and all adorable videos shared by the stars. Who else thinks these two ladies should record an album together or at least collaborate to create lullabies for parents who can't sing?